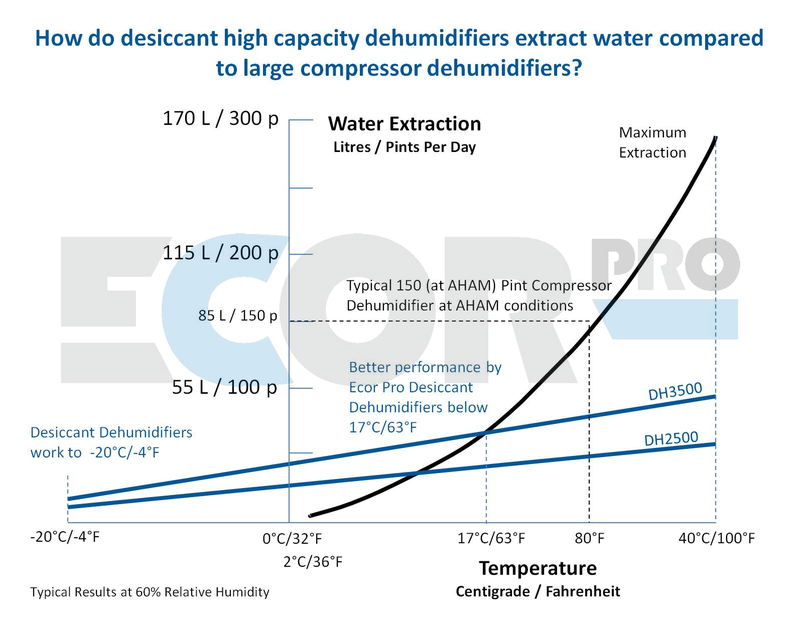 Ecor Pro desiccant dehumidifiers or "absorption" dehumidifiers are not just good at working in colder temperatures, industrial grade Ecor Pro desiccant dehumidifiers can even keep drying the air down to -20°C. Compressor dehumidifiers & home desiccant dehumidifiers usually stop working at 5°C to protect the appliance from frost damage. 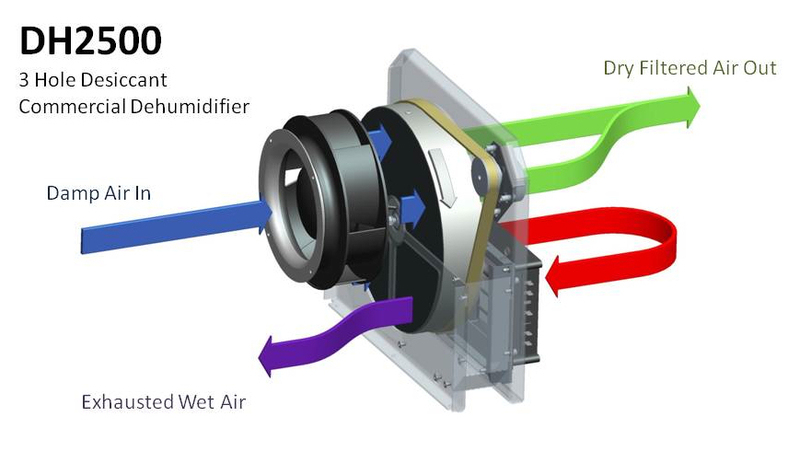 The 3 hole system uses only one internal fan to create two airflows internally in the desiccant dehumidifier. 15% of the "process air" (or damp air in) that you need to dry, is turned back on itself after passing through the wheel. This air is used to dry the wheel again to be vented out as saturated "exhausted wet air". This is the air that is vented away like a tumble dryer hose (only 80mm in diameter). If we imagine this unit placed in a room and the "wet air" vented out, then air from outside must come into the room. Generally, this is not a problem if dealing with flood drying, storage areas etc. The air coming into the room is generally low in humidity and the 15% of air will not cause an issue with overall drying. 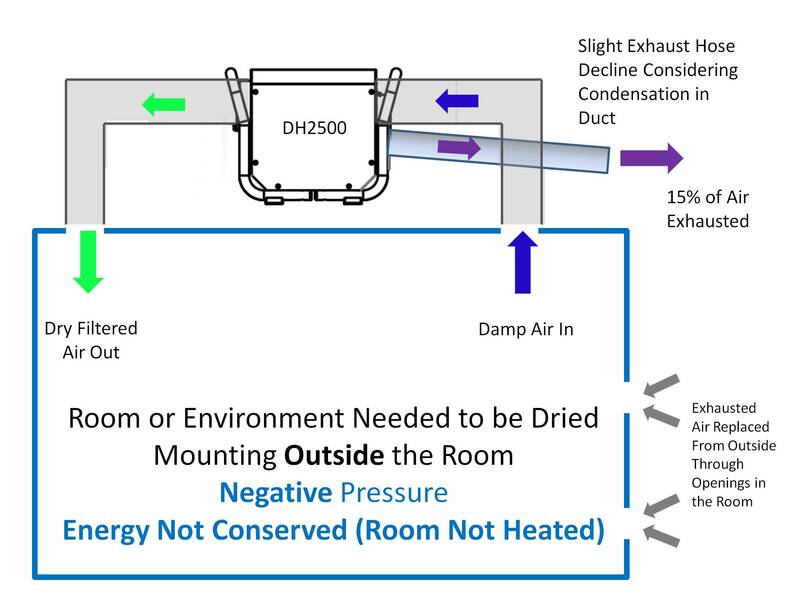 If we place the unit in the room being dried and vent out the damp air this would be a "negative pressure" system (the room has a slightly negative pressure compared to the outside of the room). 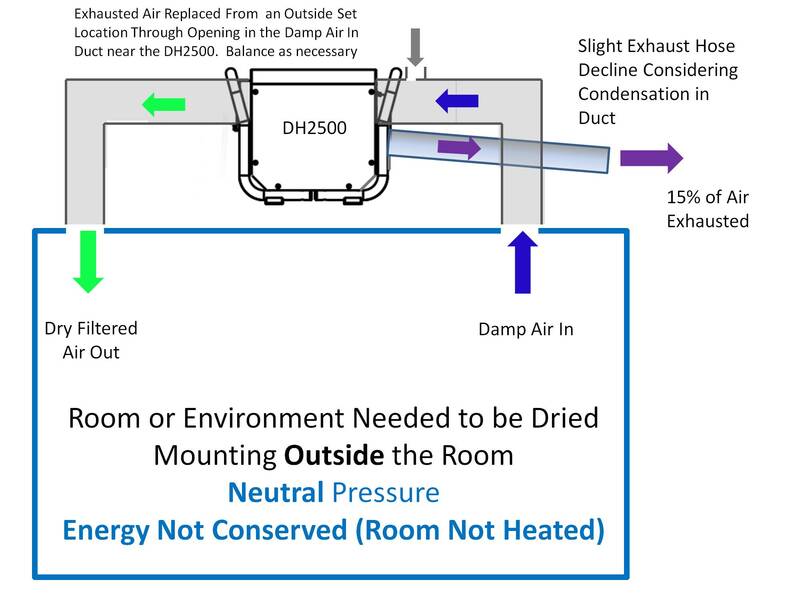 Alternatively, the unit can be placed outside of the room and the dry air can be vented into the room. 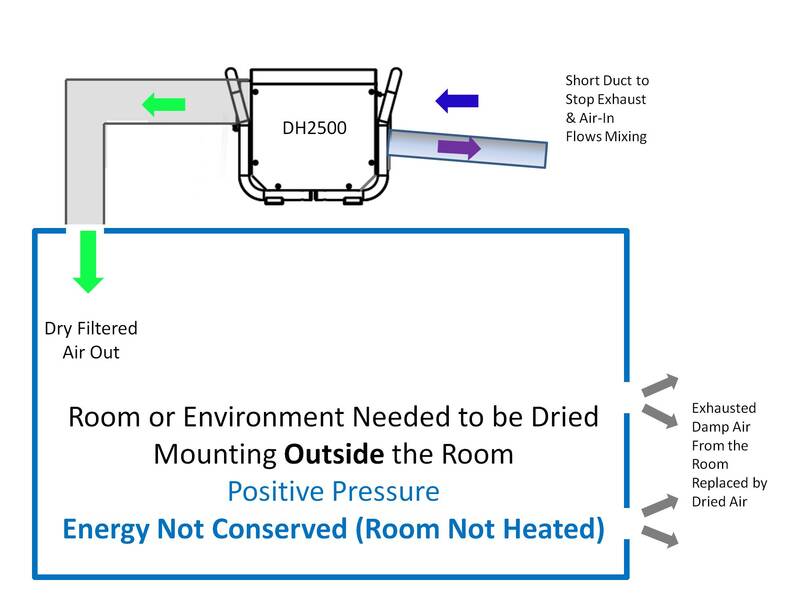 This is a "positive pressure" system (the room has a slightly positive pressure compared to the outside of the room).